I am glad to read that you liked this book so much both times you read it because it has been on my tbr list for years. I want to read the Willig books too! 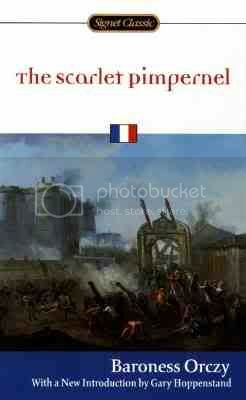 The Scarlet Pimpernel is one of my all time favorites. I fell in love with it thanks to the much overlooked Broadway show (which I REALLY LOVE!). Glad to see you giving it some love too! Another Pimpernel fan here! And I’m not really a Dickens fan either, so if you find one of his to fall in love with I’m open to suggestions as well. I’ve been pondering a go at Oliver Twist or Nicholas Nickelby since I know the basic stories and sometimes that influences me toward enjoying the work more. I keep meaning to read this one, but haven’t yet. With such strong praise, I know I have to soon!